Our chefs created a healthier lower fat version of this favorite. 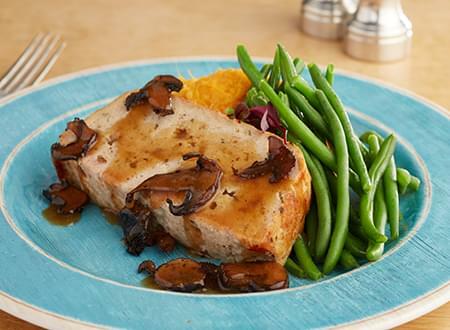 Our delicious Turkey Meatloaf with sauteed mushroom gravy will cry out for you to have another portion. Based on our same recipe for beef meatloaf, this dish will surely be a new favorite. It is made with lean ground turkey, fresh vegetables, and spices in a flavorful mushroom gravy sauce. 4 oz. portion.